Over the last years, we’ve been working a very interesting subject that combines palliative care, theology, and semantic technologies. In collaboration with Tanja Stiehl from LMU Munich, Traugott Roser from University of Münster, and Christine Kunzmann from Pontydysgu, we have developed a concept for a systematic approach to spiritual care in the context of (child) palliative care. Based on a empirical analysis of existing patient records, an ontology has been developed that links observations about patients, interpretations of those observations in terms of spiritual concepts, and spiritual care interventions. This can be used to structure patient records and gain evidence about effectiveness of spiritual care interventions and to create awareness in a multi-professional setting. 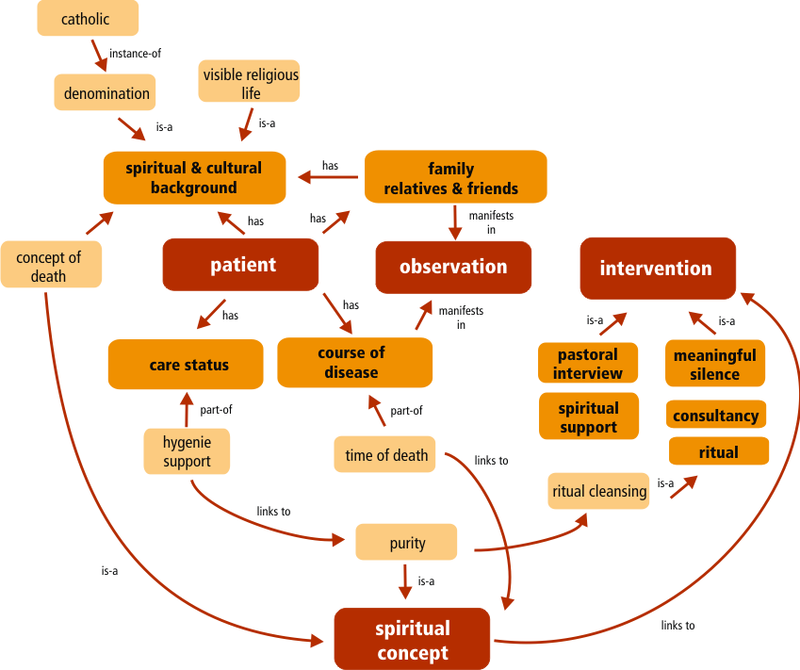 Together with a student team at Karlsruhe University of Applied Sciences, we have developed a first prototype that demonstrates the added value of ontologies and semantically annotated patient records for developing a systematic approach to spiritual care. This is going to be presented at the ARTEL 2013 workshop of ECTEL 2013 at Paphos, Cyprus. The respective paper is available as PDF from here. More information can be found under http://spironto.de.